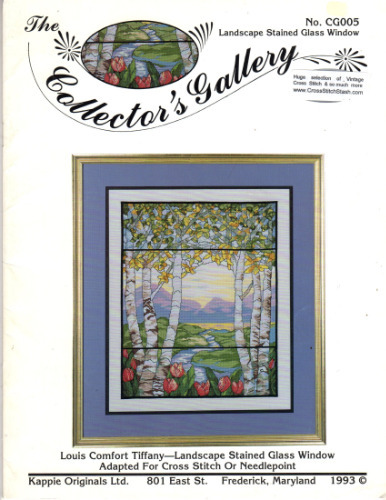 Kappie Originals The Collector's Gallery Landscape Stained Glass Window Cross Stitch and needlepoint Pattern leaflet. Adapted from Louis Comfort Tiffany. Stitch count 231 x 284. Appears like-new, removed from staples. Store sticker on cover.